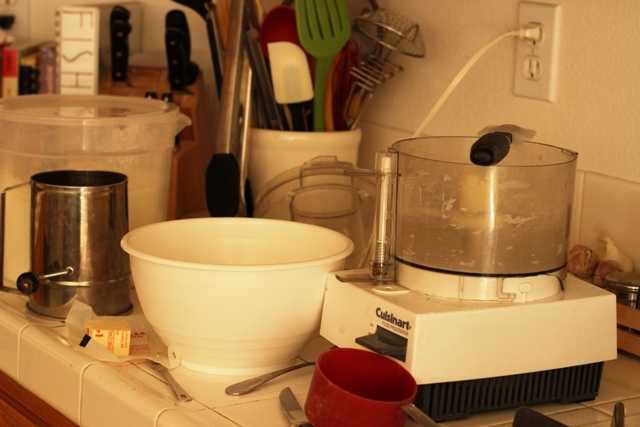 What are your must-have kitchen tools? What helps you the most in getting food on the table quickly and deliciously? When we went on our big European vacation this fall, I got to do some cooking. In both Collioure and Paris, we had vacation apartments with small kitchens. While they weren’t “fully equipped”, they did the job for me to prepare home cooked meals instead of paying for pricier restaurant fare. Whether home or abroad, there’s a huge gap in pricing between home cooked foods and what you buy at a restaurant or even the drive-through. You can almost always make better for cheaper at home — if you have the right tools. I married a man who believes in tools. He’s a carpenter by trade and knows first hand how frustrating it can be to do a job with inadequate resources. What takes ten hours with a hammer and nails can take him less than two — with better results — with a nail gun. The same holds true for the home kitchen. If you’ve got the right tools, you will do your job better and you’ll enjoy it more. If you enjoy it more, you’ll do it more often. If you do it more often, you’ll save money on food costs. 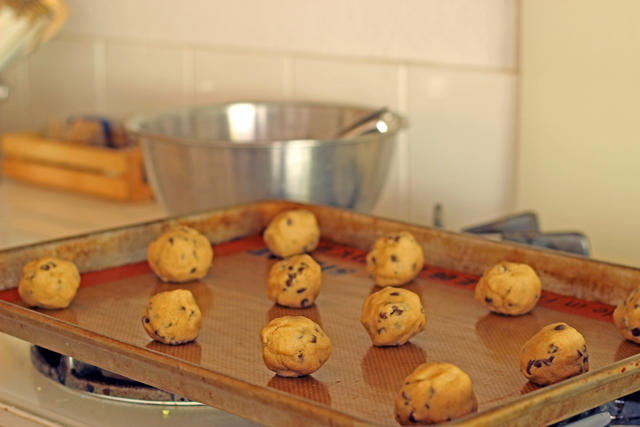 In other words, if you give a cook a great mixer, you’ll eat a tastier cookies more often! 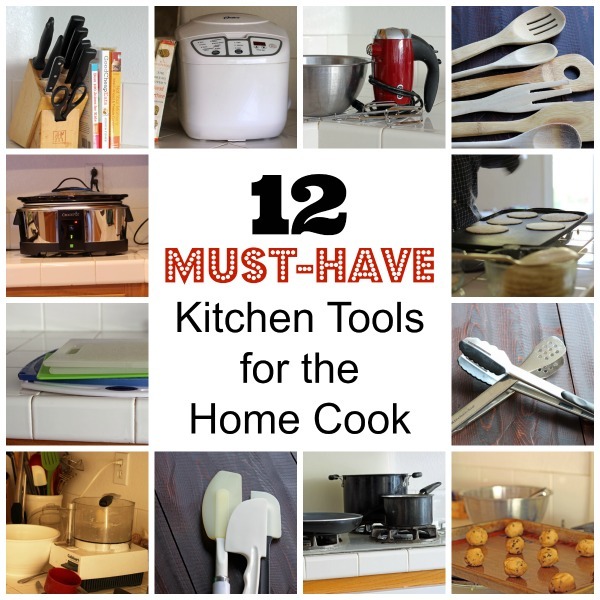 It took a little reflection, but I narrowed down my twelve favorite, must-have kitchen tools. These are the ones that if I had to get rid of everything else, I could still enjoy all kinds of good eats and feel like my work in the kitchen was efficient. I present these as my ideal kitchen tools, any of which I think would make a great gift for the fledgling cook or someone setting up housekeeping for the first time. We invested in a good set of knives when we got married, and they still serve us well. We have several JA Henckels knives as well as an Ergo Chef set I received to review years ago. 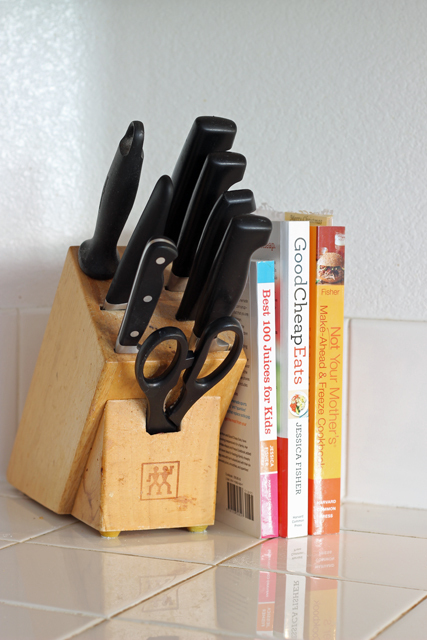 There’s nothing more annoying than a dull knife to slow down your kitchen prep. My husband regularly sharpens our knives with this knife sharpener that we bought at Lowe’s or Home Depot. You can also have them professionally done. I use colored boards for produce and white cutting boards for meats. This helps me prevent cross-contamination. I sanitize them on a regular basis and replace them when they get funky. 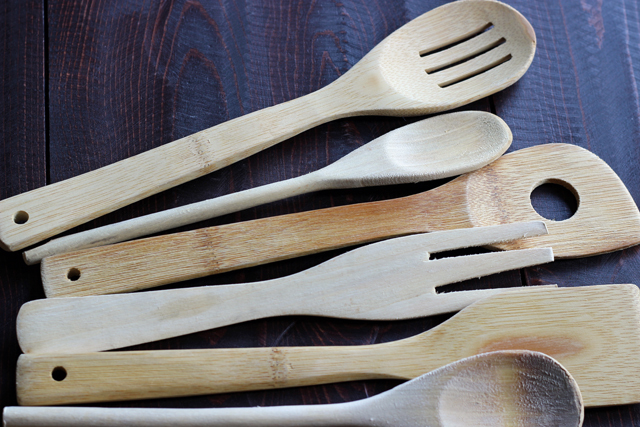 I love wooden spoons for stovetop cooking and hand mixing. They’re durable, yet cheap enough that I don’t mind chucking them with they get dull and worn. We always called this a spatula when I was growing up, but some folks call it a scraper. (I also call a pancake turner a spatula, so I understand the potential for confusion. I use rubber spatulas all the time to use up every last bit of something I’m mixing up. Waste not, want not. I use tongs for turning meat in the skillet or on the grill, moving things around in a pan, and tossing salad. I have a few different ones, some heat-resistant rubber coated and some plain metal. 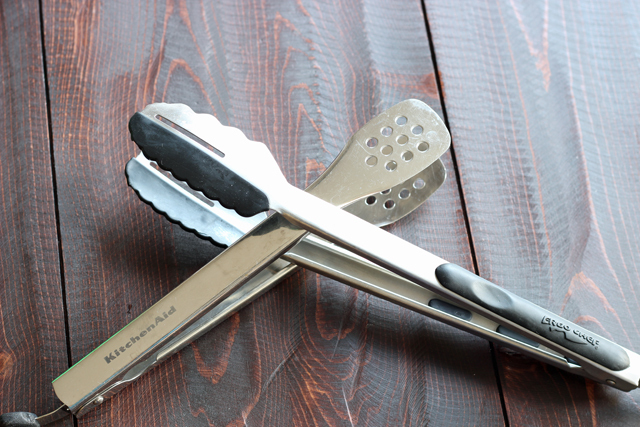 I really like the Ergo Chef tongs. I didn’t realize how important this trio was until we cooked dinner without two of them. Our hotel apartment in Paris only had a sauce pot. We made it work, but sautes or pasta were a challenge to pull off in a 3-quart saucepan. 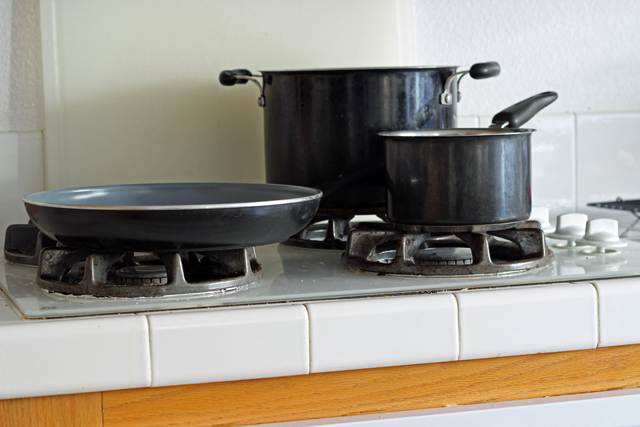 The skillet-sauce pan – stock pot trio is the way to go. The main pan set that we use is one we got free from KitchenAid when we bought our refrigerator 13 years ago. I’ve added a Green Pan to the mix for my nonstick skillet. I never loved baking until I got these sturdy sheet pans. They don’t buckle in the oven and they are huge. No worries about cramped batches of granola or cookies. I love these pans. Love them. For our family of 8, an electric griddle is a must. We use a few times a week to make quesadillas, chimichangas, tortillas, pancakes, and grilled cheese. My husband thought I was nuts the first time I brought one home. (I had a sale and a coupon to justify the purchase.) He was quickly won over. It cuts the time tremendously in bulk cooking. We bought this Presto Electric Griddle awhile back to replace our old one. I know that some people would opt for a stand mixer over the more traditional hand mixer-mixing bowl combo, but it’s the one I prefer. I always thought I wanted a KitchenAid stand mixer — until I got one as a gift. It’s bulky and heavy and not as easy to clean or store as the hand mixer. If you do get a stand mixer, choose one with a moveable head. Mine doesn’t tilt back so it’s a little difficult to add ingredients from a bowl. The last hand mixer I had lasted about 18 years; I only replaced it because the beaters were falling apart and I couldn’t find replacements. I bought this one on clearance at Target a few years ago. And I have two favorite stainless steel mixing bowls, like this one, that I bought at a kitchen store a million years ago. I love my food processor. I’ve had one since we got married twenty years ago. I use it for making scones, pie crust, and other pastries, shredding cheese and vegetables, blending salsa and soups. I also really love my blender and my immersion blender, but if I could only have one, the food processor would be it. Don’t spend money on the bells and whistles. The straightforward, basic Cuisinart will do you well. Yes, my bowl is broken in several places, but it’s still safe to use. I have the bells and whistles on a shelf for when this one bites the dust. Which I hope is never. Worst purchase ever. 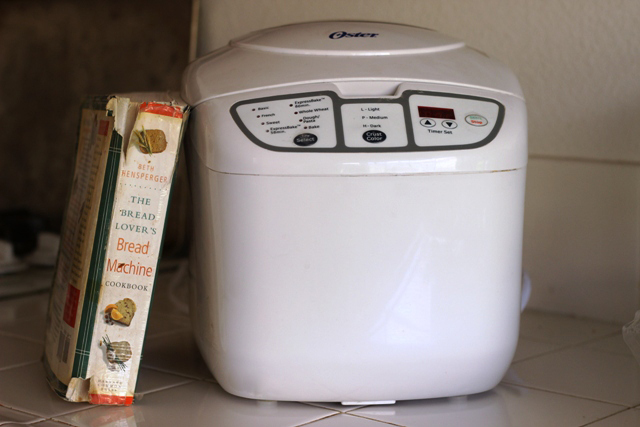 I first got a bread machine about 13 years ago. I’m on my third or fourth one. They don’t last terribly long, but I’ve also never paid more than $50 for one, so that may be why. We also use it two to three times a week to make pizza and bread and homemade hamburger buns. I’d be very sad without my bread machine. Watch for sales! This one went super cheap last Christmas. The slow cooker is the home cook’s best friend. Who else can roast a chicken, simmer a vat of pasta sauce, cook tender beans or get a bowl of chili ready while you do something else somewhere else? A slow cooker is a must have, provided you make it a priority to use it. Pictured above is the WeMo Crockpot. I can turn it off with my phone. All this talk about kitchen tools and your comments about my kitchen clutter has me really wondering if I could cook with just these tools and be perfectly content. Could I ditch everything else? Hmmm…. I’m going to have to ponder that one. 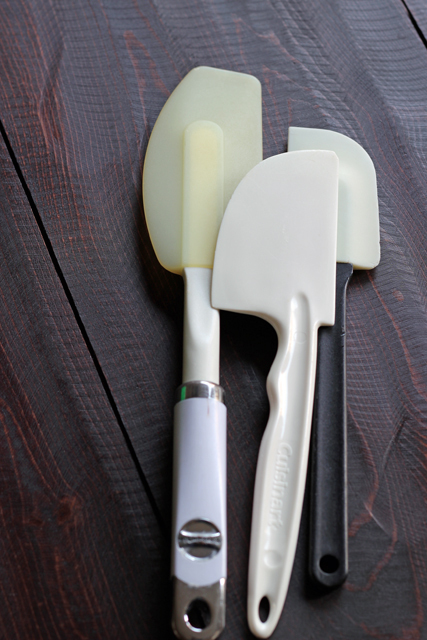 What are YOUR must-have kitchen tools? Last summer we housesat at many different houses. It was such a blessing to our family while we were without housing for 8 weeks, but it made me realize how much I really like my own kitchen tools — especially my knives. We registered for a basic set when we got married, and some friends who enjoyed cooking told us we should upgrade to a better set. We took their advice, and 13 years later we’re still using them. It makes food prep so much nicer when you’ve got a good knife. My must have list is very similar. Love my Henckels knives that we got as a wedding gift. They are used daily. My Cuisinart gets a ton of use as well, my bowl handle is cracked too, but it still locks and is functional. I looked into replacing the bowl, but it just isn’t worth it unfortunately. I also broke the stick piece that holds the slicing/shredding blade. Rolled right off the counter. I’ve been too cheap to replace it. I’ve been doing a lot of hand shredding. After burning through two or three bread machines over about 10 years, I starting making bread and pizza dough in my Kitchen Aid stand mixer (also a wedding gift) and haven’t looked back. I really prefer the stand mixer to the bread machine. I find it much more efficient and I rarely baked the bread in the machine anyway. Another favorite small appliance that I love and wouldn’t want to do without is my immersion blender. That thing is ridiculously handy. 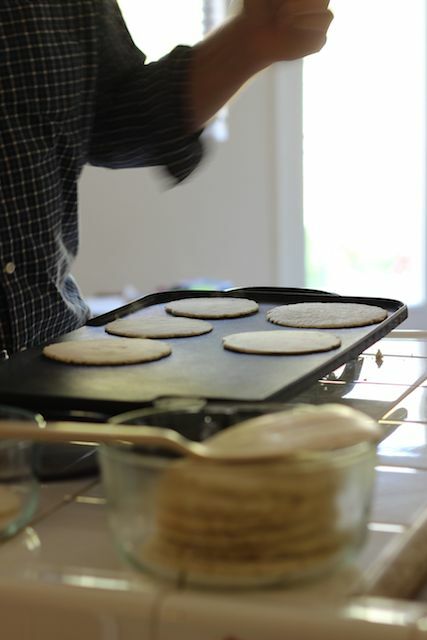 My husband makes pancakes most weekends with my daughters. I kept suggesting to him we get an electric skillet after I had read about it on here and some other blogs. He resisted but than a few years ago I grabbed one really cheap from Kohl’s and we both absolutely love it for pancakes. It’s impossible to burn a pancake on it, I can’t believe how evenly it cooks pancakes! I would agree with you list and add a fuzzy logic rice cooker. Without it I make terrible rice. But I find it to not only make rice and oatmeal but even 1 pot meals and because I can program it I find it to be a huge timesaver. I haven’t graduated beyond rice in my rice cooker, so it’s a unitasker. We’ve been baking rice and the kids like the texture better than stovetop or rice cooker. What? No coffee pot/french press/pour-over filter? Without some way of making coffee and my electric kettle, you don’t want to run into me in the kitchen. My other 10 things would be my cast iron skillet, slow cooker, big soup pot, parchment paper, Cuisinart, the giant bowl my mom gave me that is perfect for tossing big salads or working dough, my garlic press, and my measuring cup with the slanted lines so I don’t have to squat to read it. Also, my trusty toaster oven for busy days when the freezer is empty. Number 12 isn’t really a kitchen tool, but I love the little SSSCat can that keeps my cats off the counter. Meh. I could live on tea. 😉 But, yes, we do use our hot water kettle many times a day. I’m with you on the bread machine and crockpot. There is no way I could live without these two things. Oh and the big deep skillets. It was a long time before I got one and now I have two as they have proven to be two of the best in the world. I totally agree with you about food processor! I really miss my “old” Cuisinart. I bought the newer for larger size but find I don’t use it very much at all because I just don’t like it as well. 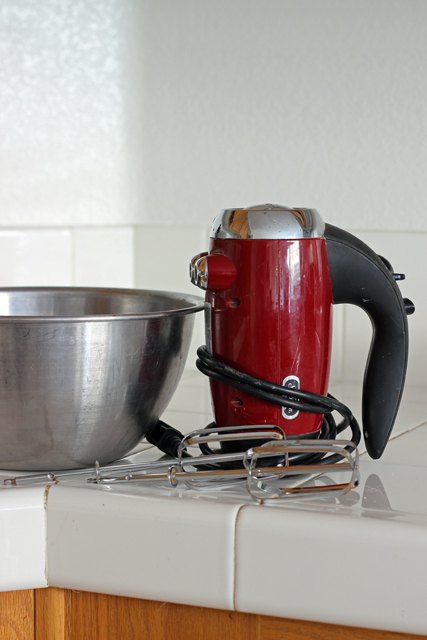 I love my stand mixer and use it a ton. It has a bowl lift and holds alot. I use my bread machine too but it can only do one batch at a time. So its more a time saver when I can’t wait around and need bread fast. My stand mixer is my workhorse. I use my blender a bunch since we do smoothies a lot. 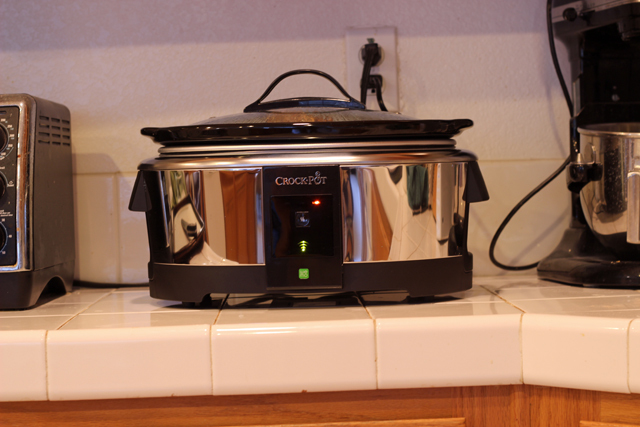 My #1 would be my Ninja cooker – so much better than just a crockpot! It does everything!!! This past summer, mom loaned hers to a neighbor who was having her kitchen redone and was without oven or stove to cook on. She thought she was going to be limited to cold or microwaveable foods only for the month of the renovation. She was amazed at how much she could do with the Ninja & only missed her oven/stove when she wished she could bake some cookies. Plus, it’s easier to clean than any crockpot or other pot or pan I own. I love my Ninja & so it ranks at the top of my must-have list. Only other thing not mentioned that would be on my list is my French fry cutter. It saves so much time on cutting potatoes – we use it for French fries obviously, but also for breakfast potatoes (just cut the fry slices into cubes) & any recipe that needs cut or diced potatoes. I agree with you on the importance of a set of good knives and a set of quality pots and pans,. If you had nothing else, you could cook a good meal every night. I do not have a bread machine or electric griddle and have never missed them. I guess because no one had them when I was learning to cook. There are several other items I use almost daily that were not included on your list: a vegetable peeler (not the cheap hardware store kind! ), a stainless steel strainer to wash produce and a toaster. Nearly everyone in the family uses the toaster in the morning. My husband would add a coffee maker although I never use it. I use my box grater much more than my food processor (a pain to clean up). The griddle is the one item we couldn’t live without now. The kids cook everything on it. It sits on our counter and is used several times a day. I guess the crockpot (I have 4) and Kitchen Aid (2- one standard and one larger upgrade) would be my next most important items. I cut everything by hand but if I’m making lumpia or something for a crowd bigger than our 10 I have the food slicer and shredder attachments for my Kitchen Aid. I think there is a food processor in the cupboard but I don’t use it. I recently got an immersion blender and use it for things I don’t want to get the kitchen aid dirty for. Love the immersion blender for that express purpose! 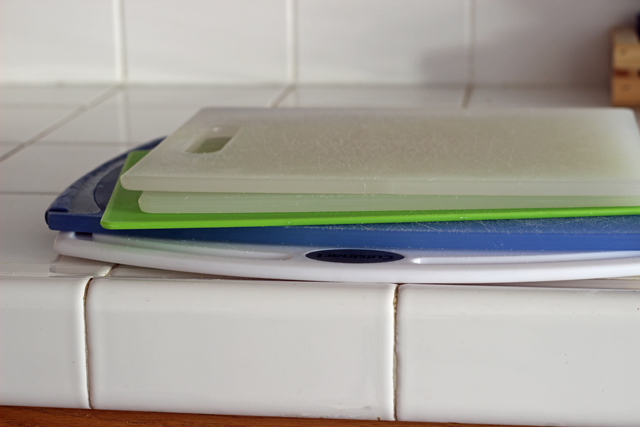 Washing fewer dishes.